Jim Wallace joins Jon Cross in Kellogg's Diner in Brooklyn to discuss the Louis Gossett Jr. and Anthony LaPaglia starring "Keeper of the City" from veteran TV director maverick, Bobby Roth. The first ten minutes of the show is basically us moaning about life, the universe and everything and it goes steadily down hill from there. 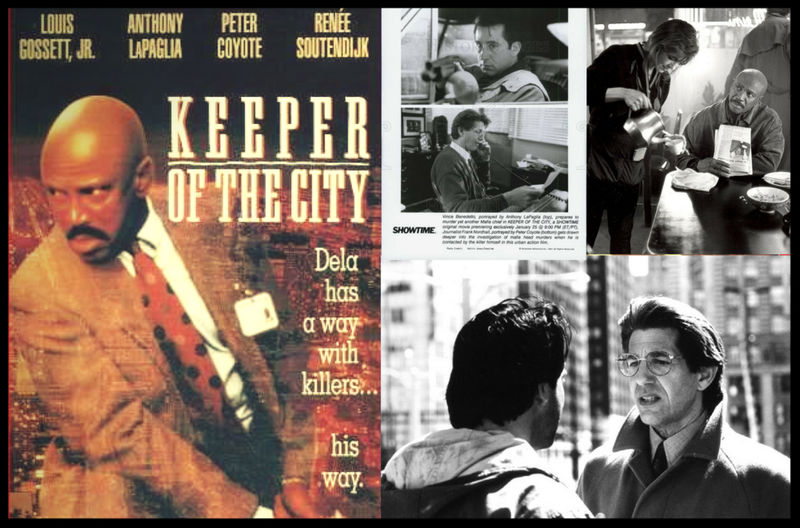 In amongst the angst and ennui we do find time to talk about the action thriller, made-for-TV movie featuring Peter Coyote - Keeper of the City - a purchase which Jon had made some months earlier on VHS because of the Louis Gossett Jr. of it all. Meet "three forks" Cross, "three squibs" laPaglia, the questions we have about Gossett Jr befriending a small boy and just what was the guy thinking who sent in video footage to Good Morning America that was filmed while he was using the bathroom?! You're going to love this mad episode that has more tangents than a B road in suffolk run by a town planning octopus with parkinsons. There's also comedy and a whole, new, original song!